Which kind of soup from Campell’s is your favorite? 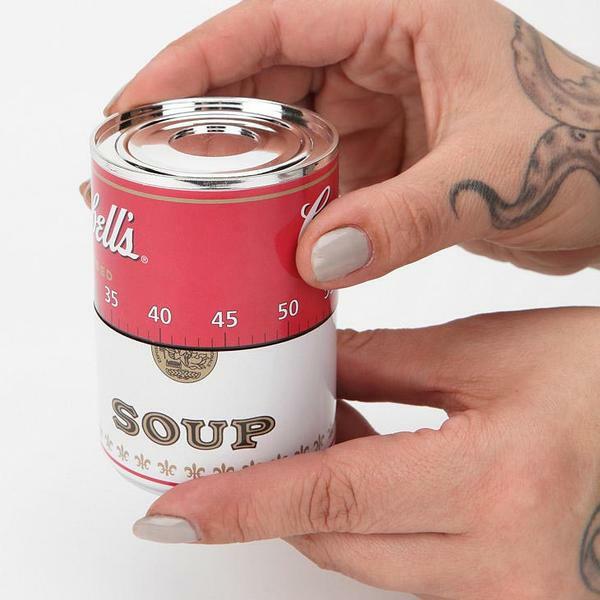 No matter which you like, the following Campbell’s soup can shaped kitchen timer may be able to catch your eyes. This is a very interfering kitchen timer that measures 2.25 inches diameter by 3 inches height. 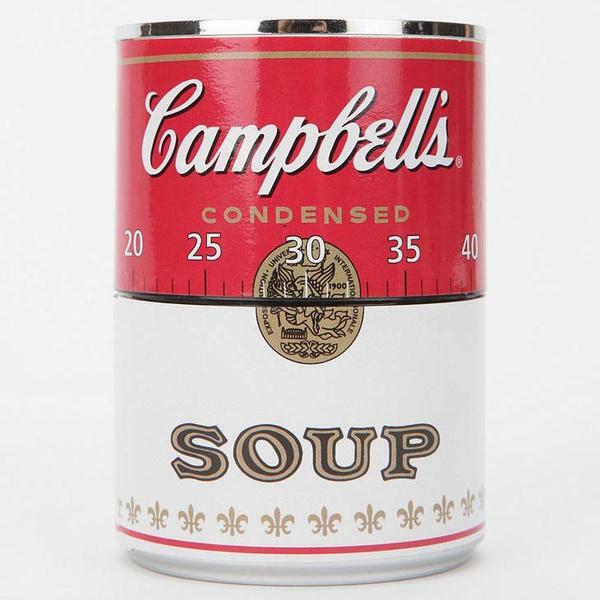 As we can see from the images, the kitchen timer is shaped as a classic Campell’s soup can, and along with subtle details and color scheme from the original design. Of course, there is no any delicious soup inside, but just twisting the soup can to select desired time, you can use it to remind you of the food that’s cooking over a fire. Apart from that, the kitchen timer also features super lightweight plastic construction.